Becoming a mother is something a lot of women dream about. We dream about holding our baby, comforting them, and taking care of their every need. When your baby is born premature, your dreams may look and feel a lot different from what you expected. It’s hard to feel like you are a mother when someone else is caring for your baby, even if it is a nurse or doctor in the Neonatal Intensive Care Unit. You want to be the one to change their diapers, feed them, or even just hold them, but it’s just not possible. Kelley, the mother of our Micro Preemie featured today, felt all those things, as did I. 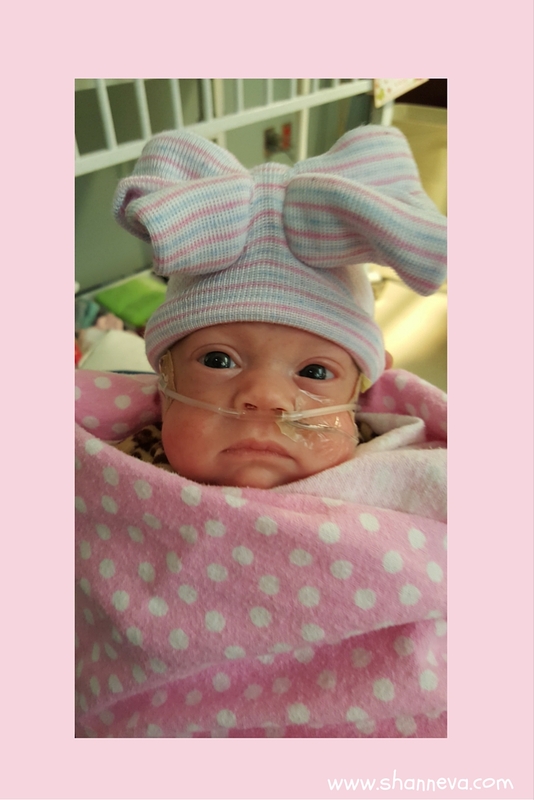 When your baby is born premature, the things that are often taken for granted, like waking up in the middle of the night with your newborn, are taken away. It can be a struggle feeling like you aren’t doing your job as a mother. Of course, we all do the most important job, which is to love our baby. Prematurity can’t take that away from any mother. 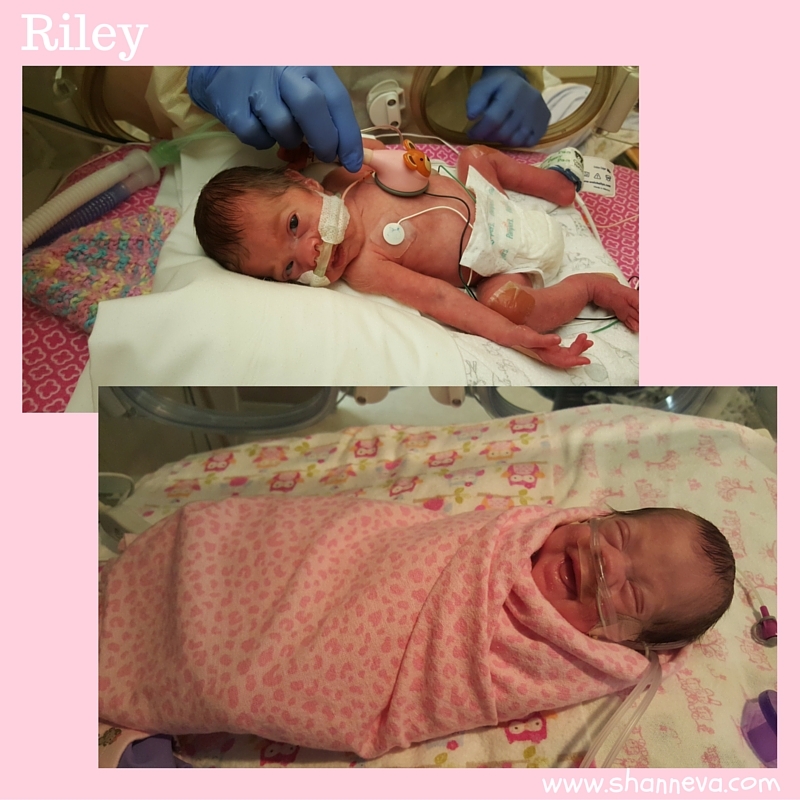 Riley was born at 24 weeks and 4 days on 11/25/15 at 9:52pm, weighing 1 lb 9 oz and 12.25 inches long. She was born vaginally after turning at the last moment. They had been concerned because she was transverse and began talking about an emergency c-section. She came out and tried to cry but only managed a slight whimper. 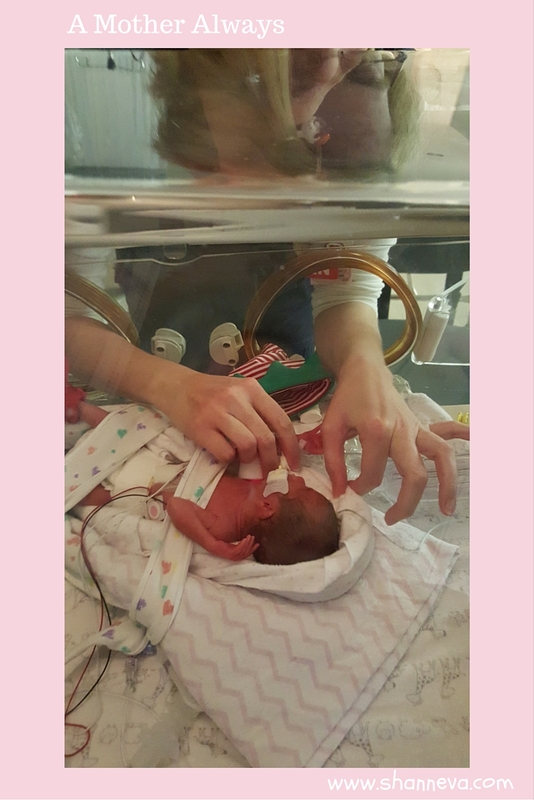 I looked over from my hospital bed at the NICU team working on her, and I saw her right arm shoot up into the air and wave around as if to say “Mom, I’m here!” It took 3 tries to intubate her, and then she was whisked away. She couldn’t handle a conventional ventilator so she started out on the oscillator. She had a very large PDA and two rounds of medication didn’t affect it at all. She took a helicopter ride at 14 days old from our local hospital to Children’s National for a PDA ligation. She came through like a champ. We spent a month at Children’s before transferring back to our local NICU. Through our hospital stay, on top of her surgery, she collapsed both lungs, had fluid drained from her chest cavity, has kidney issues, a stomach ulcer, and 12 blood transfusions. 2.How long were you in the NICU? What was the hardest part? 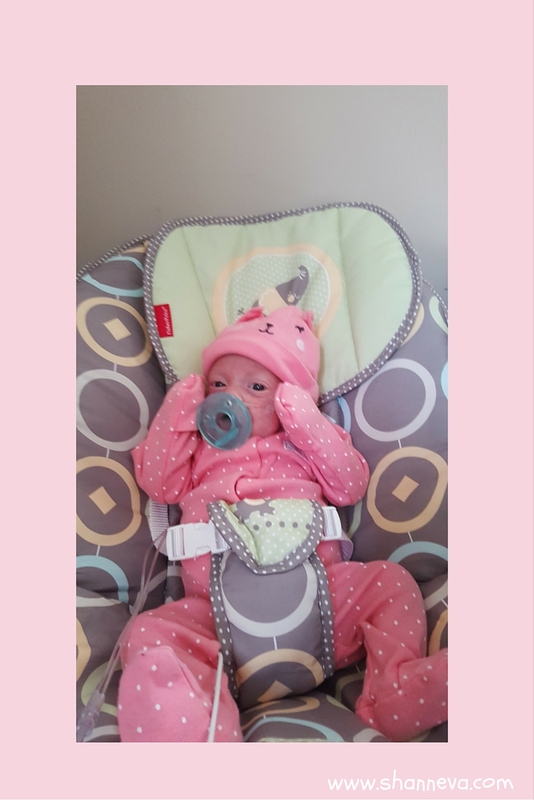 We spent 94 days in the NICU, went home on oxygen and a little more than a week later ended up back for 2 days due to some breathing issues. The hardest part was not feeling like a mom. I couldn’t hold her. I waited 18 days to have her handed to me and all her tubes and cords weighed more than she did. I had to ask permission to touch my baby. Being intubated, she couldn’t make a sound crying, but she would make a “cry face” to cry. No sound came out. It broke my heart seeing that, and not being able to do anything about it. I had a totally normal pregnancy until 21 and a half weeks. Well, normal for me. I had been told I couldn’t have kids my entire adult life. So, she was a surprise to begin with. We had also been told we were having a boy at 15 weeks. At 21.5, we went to the anatomy scan, and found out we were in fact having a girl! She looked great at the scan but the tech was concerned about some funneling in my cervix and they sent me over to a perinatologist immediately. They found my cervix was only 1.45cm. I went home on strict bed rest and came back 2 weeks later for a follow-up, and found that my cervix was gone. I was sent to L&D immediately and put on hospital bed rest, some of the time in Trendelenburg position. I was given the steroid shots and magnesium and held out for 6 days before my water broke and we had to deliver. 4.How are you and baby doing now? 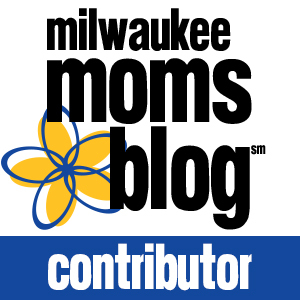 5.What advice would you give to a new preemie parent? It’s hard. It’s the hardest thing you will probably ever do. I gave up my career, my social life, my sleep, and in some ways myself, but it’s has been worth it. It’s both the hardest and best thing I’ve ever done. I can’t promise that it gets easier, but you adapt, you grow, and you find your way. Thank you so much to Kelley for sharing her story. I completely agree that it’s the hardest and best thing I’ve ever done too. You are a remarkable woman and mother, Kelley. 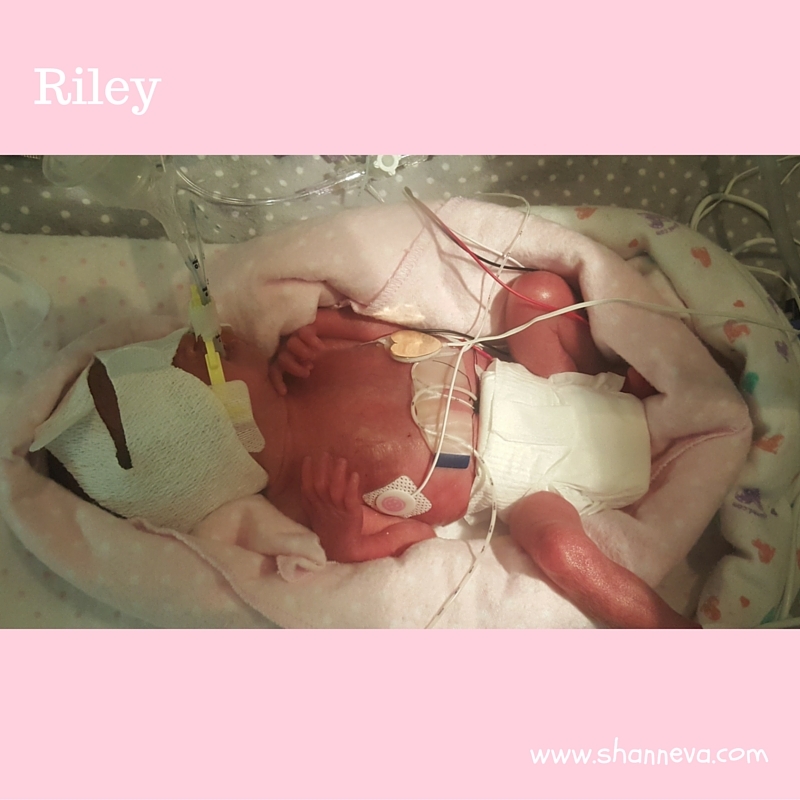 Please leave your comments and support for Kelley and Riley below. Always worth everything we give up for our children. What an amazing story! Being a mother is the best job you can ever have! Aw! She looks like a happy little girl now! Wow! Such a powerful story. I gave up my career by choice and still sometimes feel resentment for the loss of “Me”. Many prayers for Kelley and Riley as they continue on this journey. Wow, I can’t even imagine going through this! Reading about her making the cry face but not being able to cry because of being intubated about broke my heart! I’m glad she is home now, she is a fighter! If it happened to you, you’d go through it because you have no choice. My heart broken for Riley over and over again and she has proved this whole time that she is the strong one. She is sooooo precious! I can’t imagine the constant trips back to the hospital for 94 long days. I’m so happy to hear she is doing well! I can only imagine how difficult it would be but I can’t have children so I try not to think about it. Courtney, I can’t have children either. I’ve been told I’m infertile my entire life. I’ve never been on birth control, never had an oops, nothing, yet suddenly Riley happened. And if it’s something else, there are always options. Don’t give up. The road to mommy hood is hard no matter how you get there. Congrats on becoming a mom, Kelly! And welcome to the world, Riley. One day you’ll look back at this birth story and both smile at each other, knowing how far you’ve come together. As a team. So far we have made an awesome team! Another inspiring story Shann! 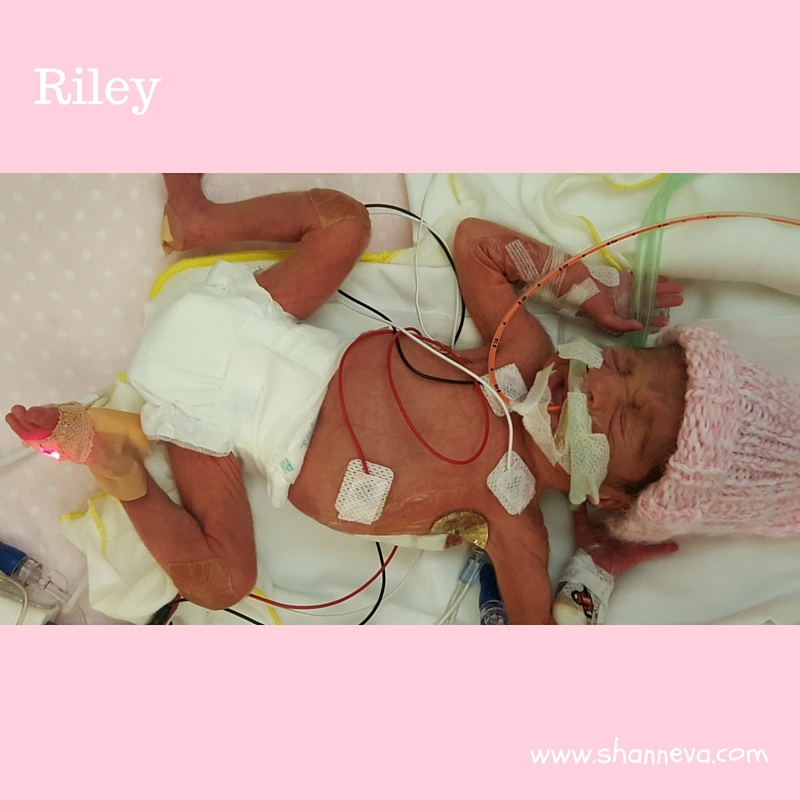 Riley is a real fighter. such a cutie. Long arms and legs. I can see summer saults and all. What a sweet heart! Such an amazing story!